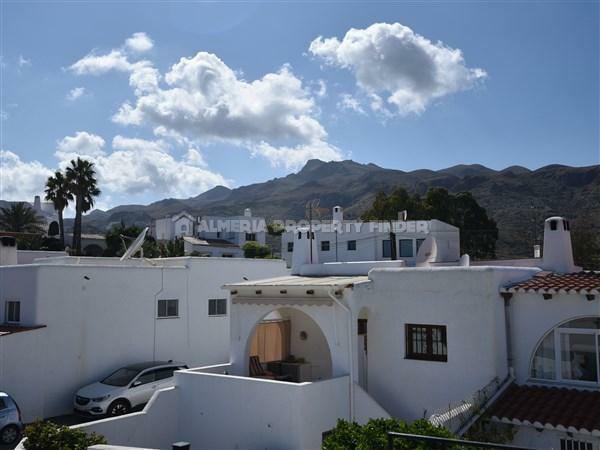 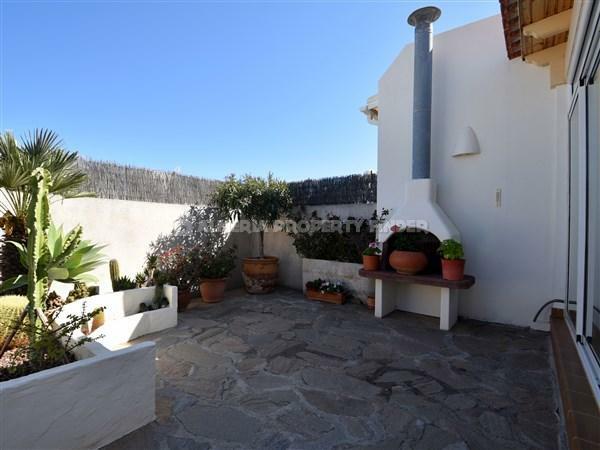 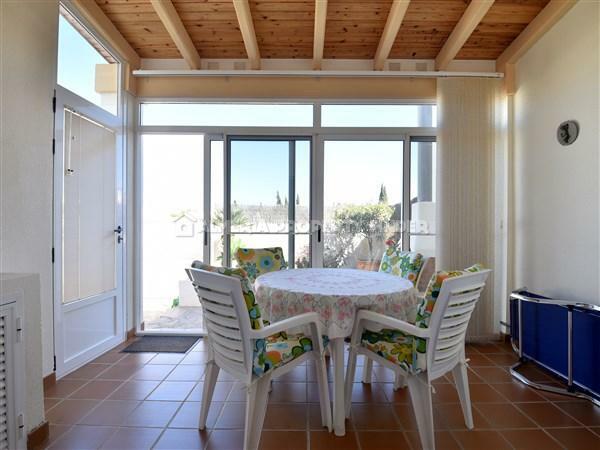 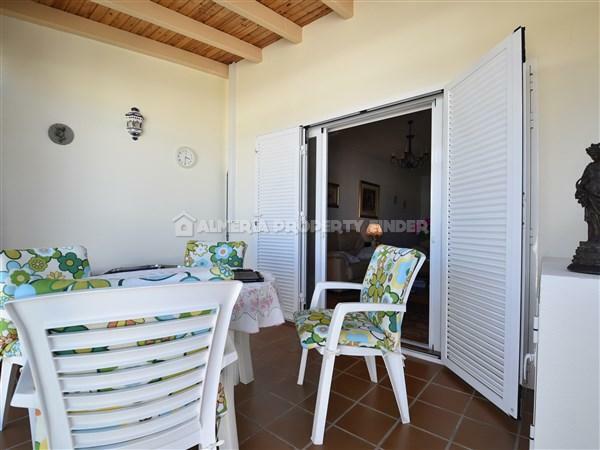 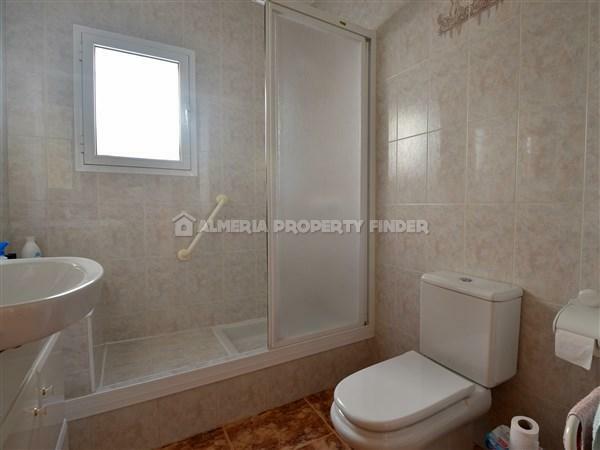 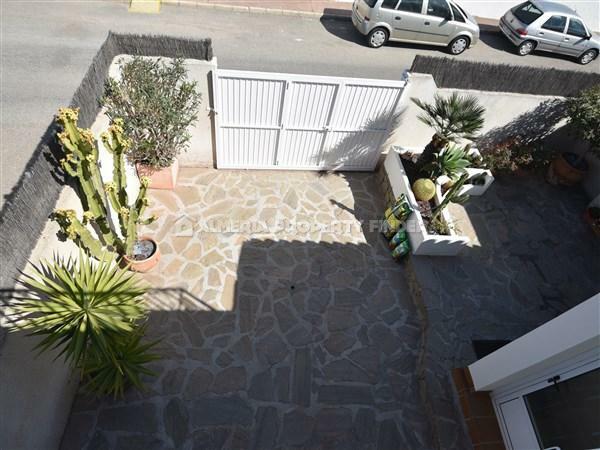 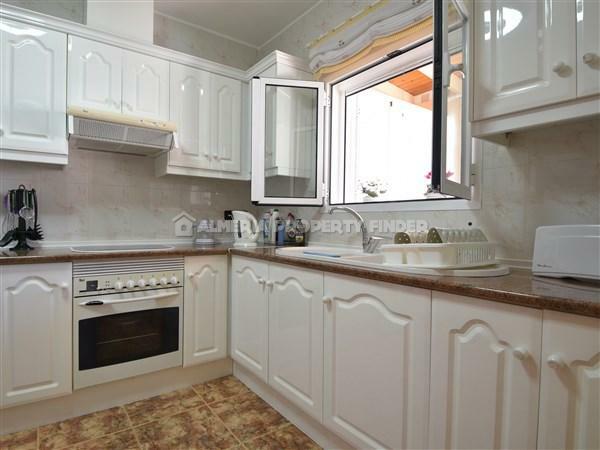 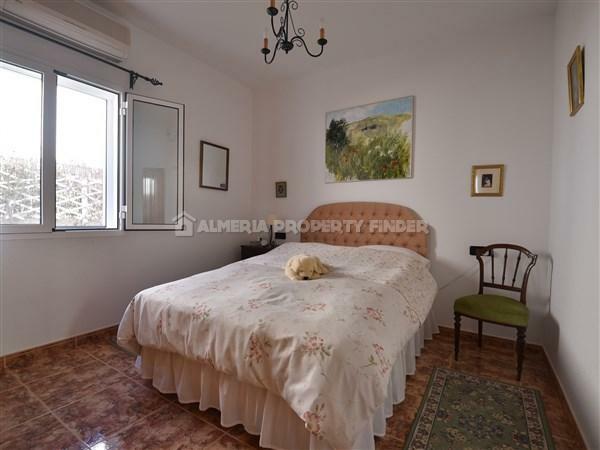 This beautifully presented 3 bedroom property is all on one level and located in one of the best areas in Mojacar. 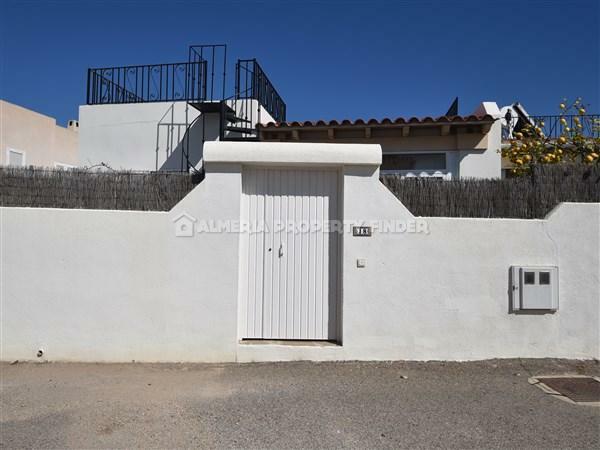 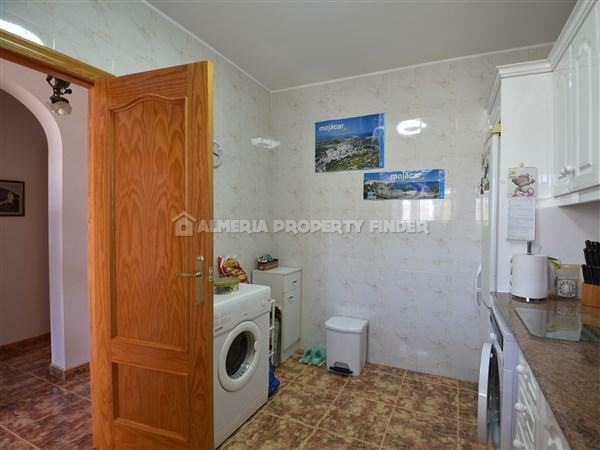 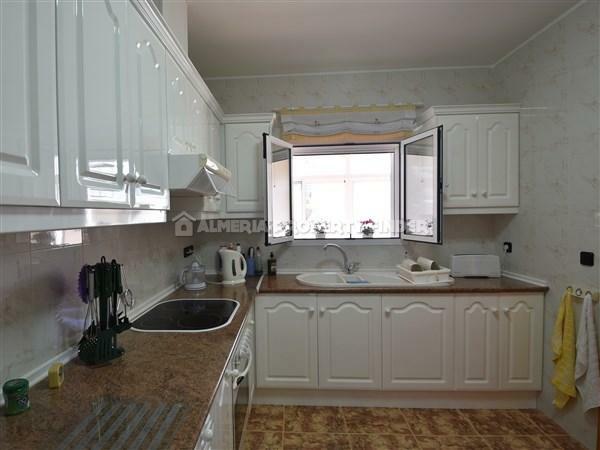 It is situated in a quiet residential area tucked away from the hustle and bustle of the Playa but still within a short distance to the beaches, and amenities. 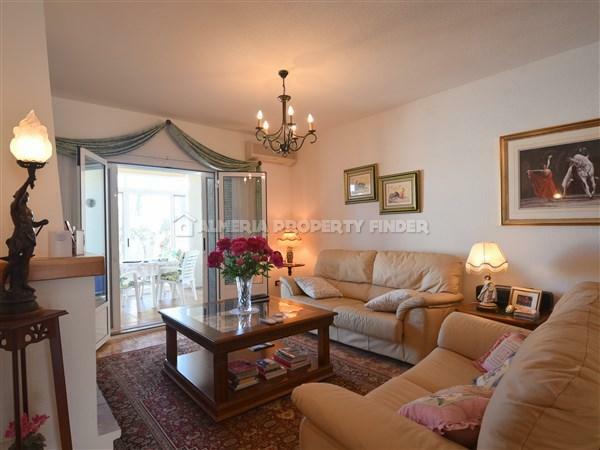 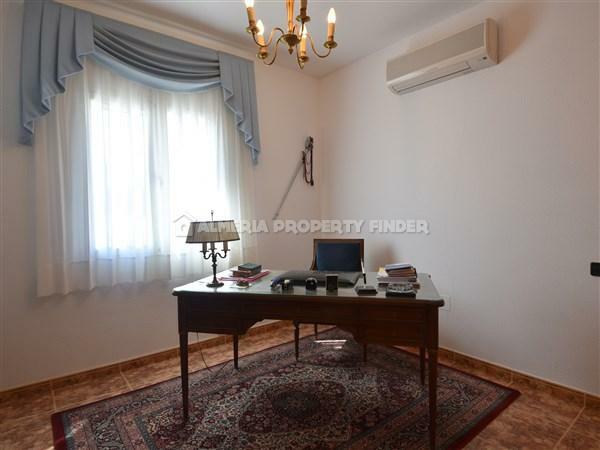 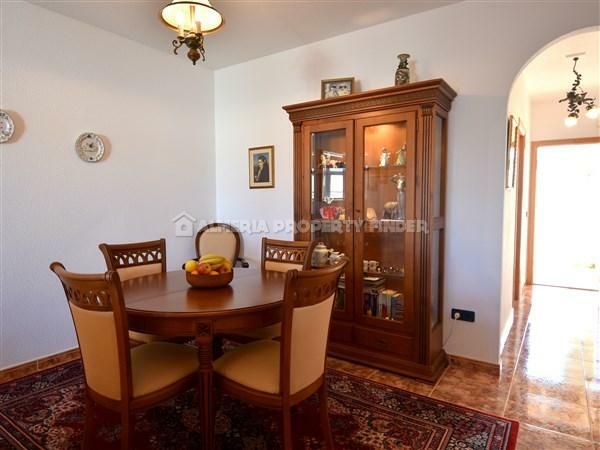 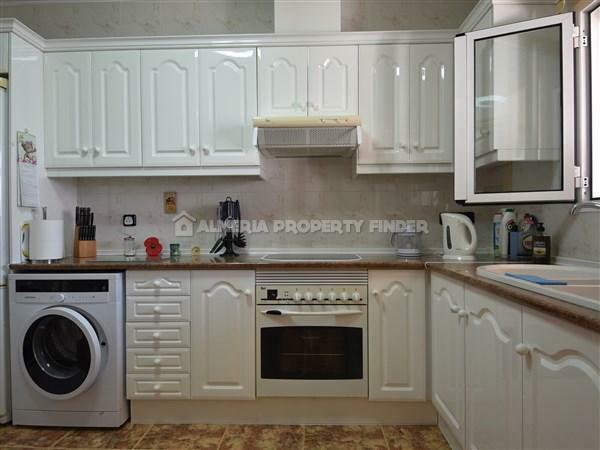 The property has been noticeably well cared for by the current owner. 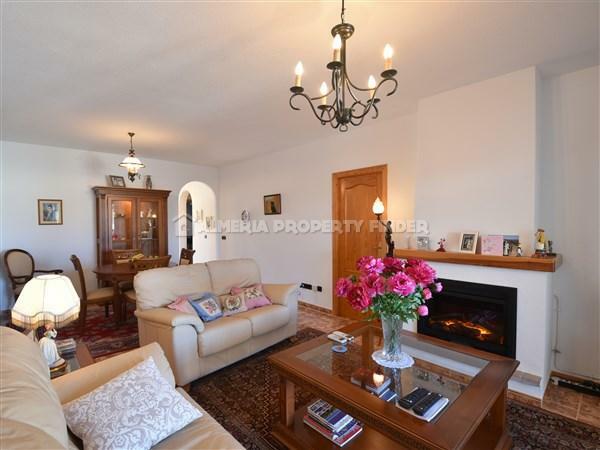 It comprises a living room / dining room of a really good size with reversible air conditioning and a proper fireplace that is currently housing an electric fire, a light, bright and airy kitchen with a good selection of wall and base units and with a washing machine & tumble drier, 3 double bedrooms all with built in wardrobes, reversible air conditioning and fly screens. 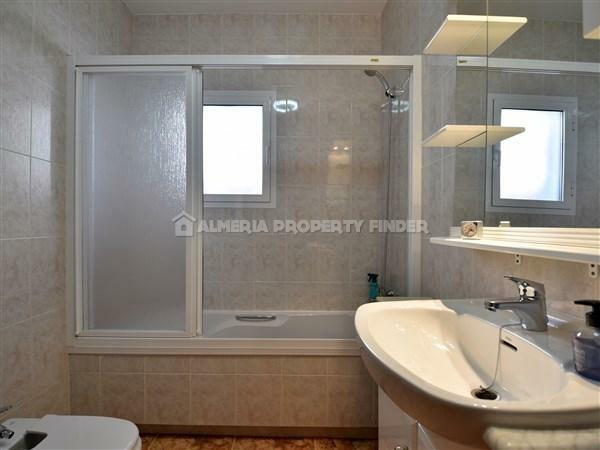 The master bedroom has an en-suite bathroom and there is a separate guest bathroom with walk in shower. 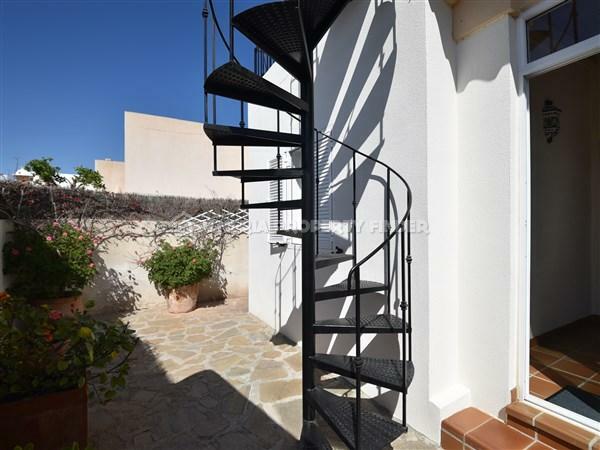 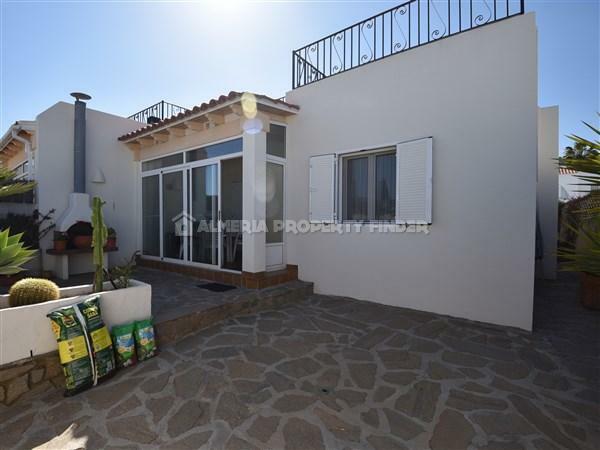 At both ends of the property is a sun room and from the rear garden you have access via a spiral staircase to the roof solarium where you have sea and mountain views. 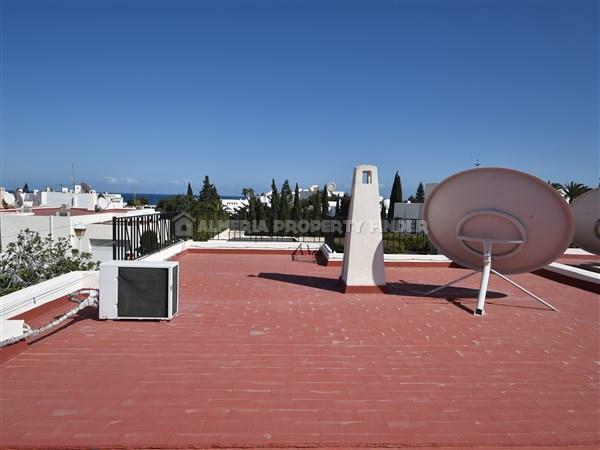 In addition there is use of a communal pool, off street parking and WI-FI.